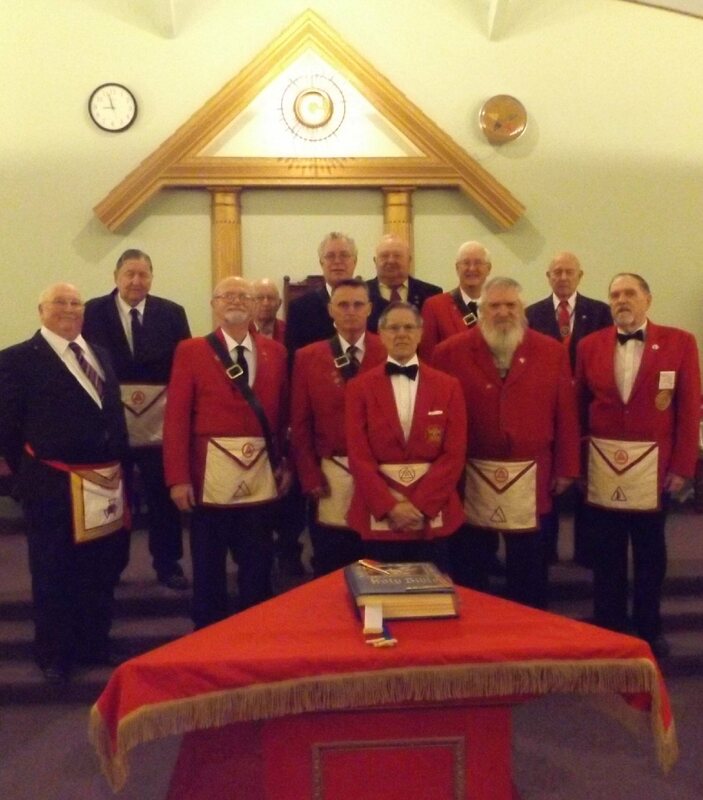 OSWEGO, NY – On Monday, January 4, the officers of Lake Ontario Chapter Royal Arch Masons were installed for the coming year. The members of Lake Ontario Chapter gathered for supper provided by Ron Bond. Lake Ontario Chapter opened with Grand Honors given to George A. Reed, Grand Historian and Richard Trust, Past Grand High Priest. Allen Boyce and Tom Sawyer, served as installing officers for the chapter. Officers installed were High Priest David Constable, King Earl Wilson, Scribe Alen M. Downing, Secretary E.: Allen Wood, Treasurer and Captain of the Host E:. Ron Bond, Principal Sojourner and Chaplain Rev George A. Reed, Royal Arch Captain Harry Frazier, Master of the first Vail Bill Pittsley, Master of the second Vail John Congdon, Master of the third Vail James Rizzo.